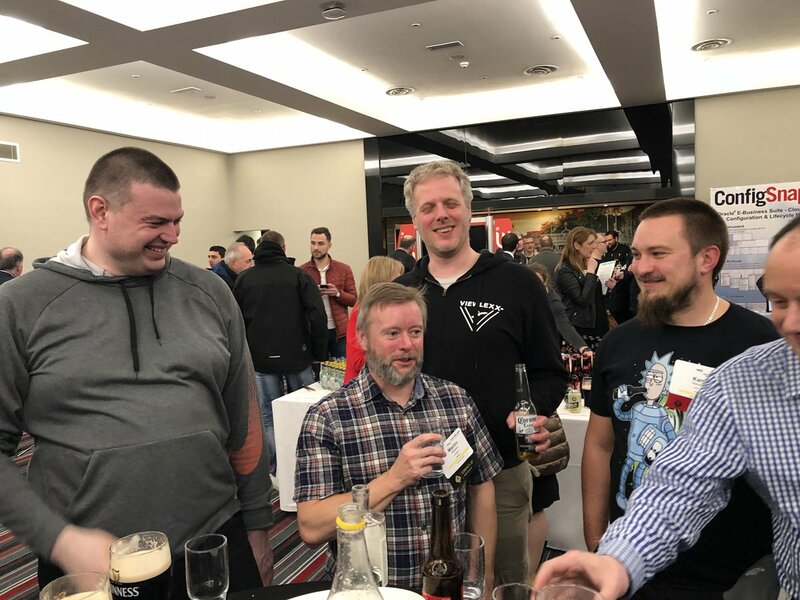 Posted by mwidlake in UKOUG, User Groups. I should make one thing clear – I am not yet President, I am President Elect. I’m “President-in-waiting”. I’ll be shadowing the current President, Paul Fitton, until his term ends in one year. This gives time for me to take over the various contacts and communication channels and learn what is involved in the role. I do not have a vote on the board until I take over from Paul, but I do get involved and fill in for duties when Paul is not available. I’m not sure exactly what this entails yet! I’m pleased to say that Neil Chandler was voted in as the new Member Advocate in the same election, so he will also be joining in with all the fun. The role of President is a serious one and it involves representing the whole of the user group, not just the tech side that I have historically been involved in. I’m going to have to expand my horizons a little. Does this new responsibility mean I’ll stop being the relaxed, flippant person I sometimes (usually?) am? Well, yes, to some degree. You alter your behaviour to suit the situation you are in, just as most of us do when we are filling a managerial role or dealing with important work issues. But I think we should never take ourselves too seriously. So, just for a little light humour… This is how some of my friends reacted to me becoming President Elect of the UKOUG. They congratulated me but also did the traditional “Make the enormous guys stand behind Martin and take a photo to tweet…” thing. What you don’t get from the photo is that Neil was shouting “Viva El Presidente!” exactly as (for those who remember it) Vivian does in “The Young Ones”. But my favourite shot is this one – Ilmar Kerm and Klaas-Jan Jongsma offering to be my “heavy Squad”. I’m sure I won’t need one and, besides, they are both too nice for the role. Who can’t remember the young ones, provided you are old enough to have been able to watch it on television? In my mind it gone on for quite some time, I was shocked to find that the number of episodes was really low. Anyways, congratulations (again)!